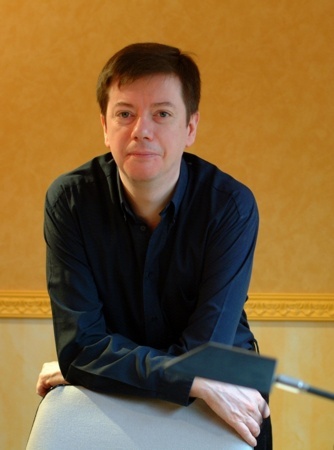 Michel Lysight is a Belgo-canadian composer and conductor born in 1958. He studied music at the Schaerbeek Academy and in 1981 won the Government Medal for piano. After two years studying history of art at the Université Libre de Bruxelles (1976-1978), he entered the Royal Brussels Conservatory where he won first prizes in the history of music, methods of solfeggio, educational psychology, harmony, counterpoint, fugue and bassoon. He also holds a graduate diploma in solfeggio and chamber music. He studied conducting with René Defossez and won the first prize with distinction (1997) and the graduate diploma (2002) in the Robert Janssens class. He was awarded his first prize for composition in 1989 at the Conservatoire Royal de Musique de Mons in Paul-Baudouin Michel’s class. In the same year the Dexia bank commissioned him to compose the obligatory piece for woodwinds, Soleil bleu for its annual competition. Quatrain for wind quartet won the 1990 Irène Fuérison Prize of the Académie Royale des Beaux-Arts de Belgique. He was awarded the Silver Medal with mention of the Académie Internationale de Lutèce (Paris) in 1992 in its international competition for composers. The Union of Belgian Composers gave him the Trophée Fuga 1997 for his activities in favour of the national repertoire. « Octaves de la Musique 2012 » nomination (contemporary music category). The discovery of such composers as Steve Reich, John Adams, Arvo Pärt or Henrik Mikolaj Gorecki, marked a turning point in his musical development and made him one of the major personalities in New Consonant Music in Belgium. In 1991 he founded the ensemble Nouvelles Consonances, a group whose members vary, which is concerned with disseminating and recording his music. Michel Lysight is a member of Sabam, the Union of Belgian Composers and the Belgian Centre for Music Documentation (CeBeDeM). His catalogue lists about hundred works. Most have been recorded on a number of CDs. Michel Lysight is a professor at the Royal Brussels Conservatory and is regularly invited by the Bilkent University of Ankara (Turkey) for master classes. In 2008-2009, he was composer in residence in the Conservatoire “Darius Milhaud” (Paris, France).